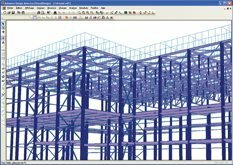 Advance Design America is a complete structural analysis and design software which has been specifically developed for all industry professionals, including construction, needing a high end product dedicated to structural calculations. 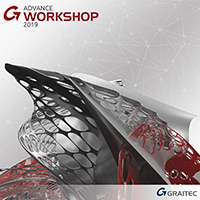 Meeting the needs of design engineers, Advance Design America allows for an expertise in steel, reinforced concrete, pre-stressed concrete, wood and composite members, in accordance with the latest versions of North American norms & standards (Canada and USA). 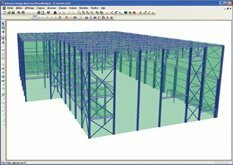 It makes it possible to design for static and dynamic loads for all types of 2D and 3D structure. 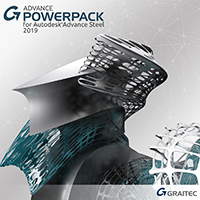 Ease of modeling, computing power, automated graphical results and detailed calculations brief, Advance Design America offers the user a comprehensive graphical interface that allows them to be quickly independent within the software. 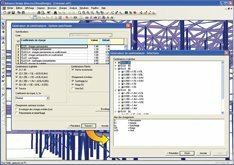 Complete databases for material (steel, concrete, wood), sections (I, WRF, AASHTO, etc ...) and additional elements such as metal deck are available. 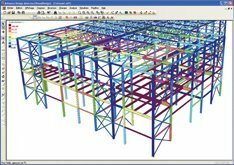 Custom sections are easily made possible with the import of a dxf into the “section calculator” which allows for the calculation of the section properties using finite elements. Advance Design America also offers a range of generators (buildings, truss, roofing, retaining wall, straight bridge, telecom tower etc ...) which, together with the load generators loads (wind, ice, etc ...), allows the user to increase productivity and optimize their time. With a few clicks, the structural elements are modeled and optimized thanks to the cyclical design process, which may include seismic envelopes and moving loads. The graphical interface and multiple display options greatly facilitate consultation and verification of results. Throughout the modeling process, the user can work with dialogue boxes as well as with spreadsheets. 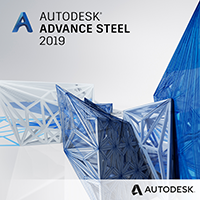 With Advance Design America, create the 3D model with the Building or Truss generators and use edit functions such as Copy / Paste (translation, mirror, in rotation), Move, Enlarge and Rotate. Create custom selections and graphically apply loads. 4. 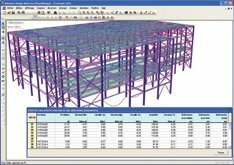 Verify or design the structure and view graphical and numerical results. 5. Colored design load rates Display graphic results and view critical members with the colored legend that represents the design load rates. 6. 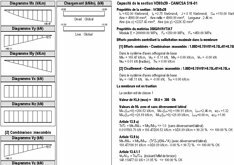 Member design brief with critical load combinations and code provisions. 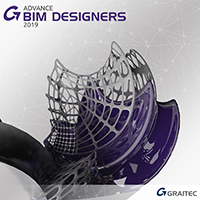 All Graitec programs can now easily communicate with the new BIM format, that allows the exchange of models between applications and also the models synchronization, with no data loss and no need to re-input data!